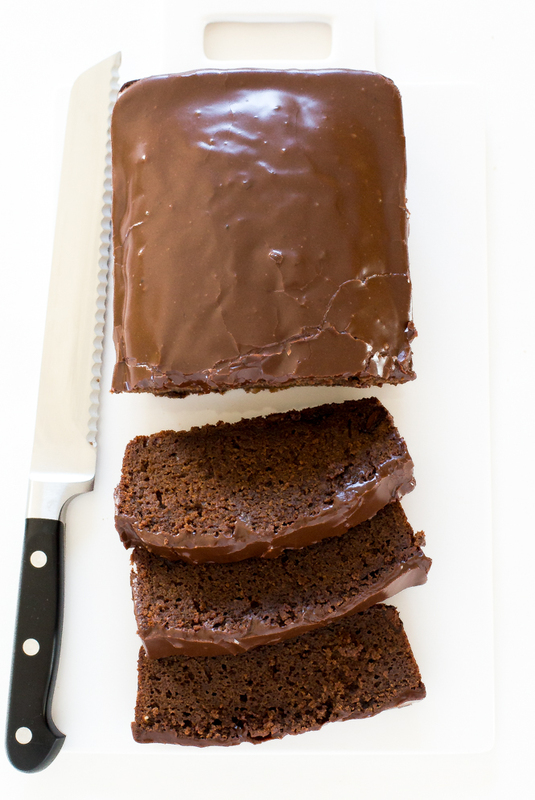 Double Chocolate Loaf Cake loaded with chocolate chunks then topped with a creamy chocolate ganache icing! 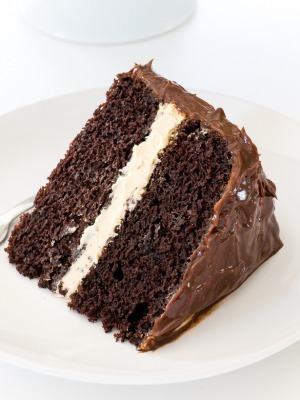 Nothing beats a slice of chocolate cake. 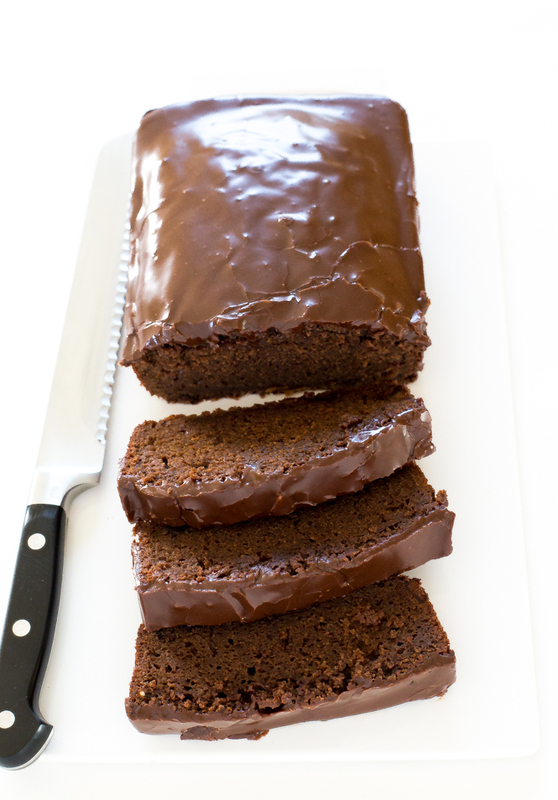 This chocolate loaf cake is one of my favorite desserts! 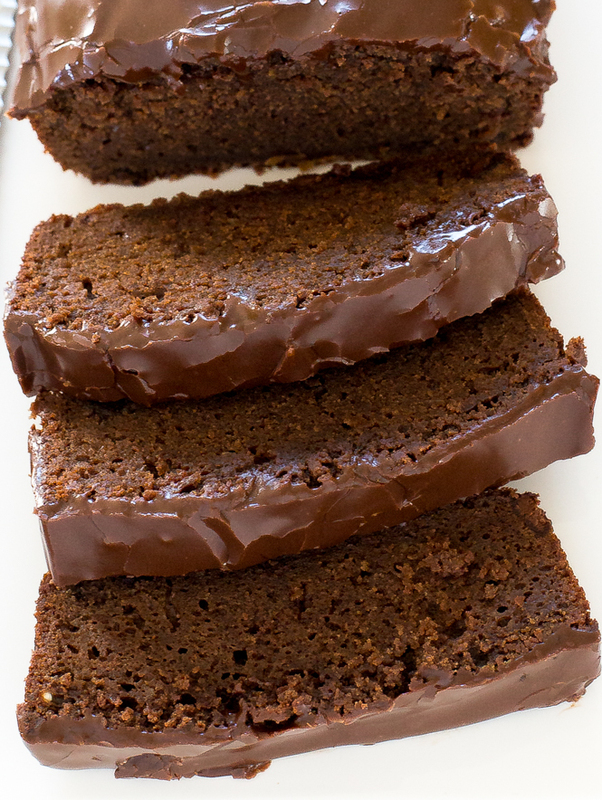 Perfectly moist, dense and super rich with a nice thick topping of chocolate ganache. To achieve the dense, soft texture I added in sour cream and substituted some of the granulated sugar for brown sugar. For an ultra soft and moist cake I always bring the eggs, sour cream and butter to room temperature. I also add in hot coffee which amplifies the chocolate flavor and adds a nice silkiness to the batter. After I add the hot coffee I turn the mixer to the highest speed and whip the batter for a minute. This helps to get any last clumps as well as adds air to the batter. After the cake cools I spread a generous layer of chocolate ganache on top. For the chocolate ganache I whisked together powdered sugar, unsweetened cocoa powder, vanilla and milk. 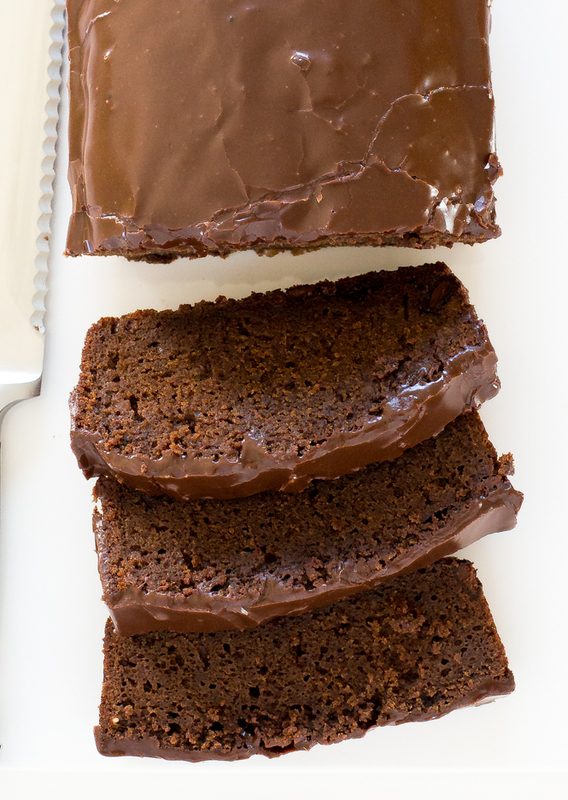 Once the chocolate ganache has set slice and enjoy! Preheat oven to 325 degrees. Grease a 9 x 5 pan with cooking spray. In a stand mixer with the paddle attachment cream butter and both sugars until combined and fluffy, 2-3 minutes. Add in eggs one at a time, scraping the bowl between each addition. Next add in vanilla and sour cream and mix until incorporated. In a large bowl combine flour, baking soda and cocoa powder. Add the hot coffee or hot water to the stand mixer and beat on high for 1 minute. Fold in chocolate chips by hand and pour the batter into the prepared pan. Place the cake on a cooling rack to cool completely. Once cool run a knife along the sides to remove the cake. Add all of the ingredients to a large bowl and whisk to combine. 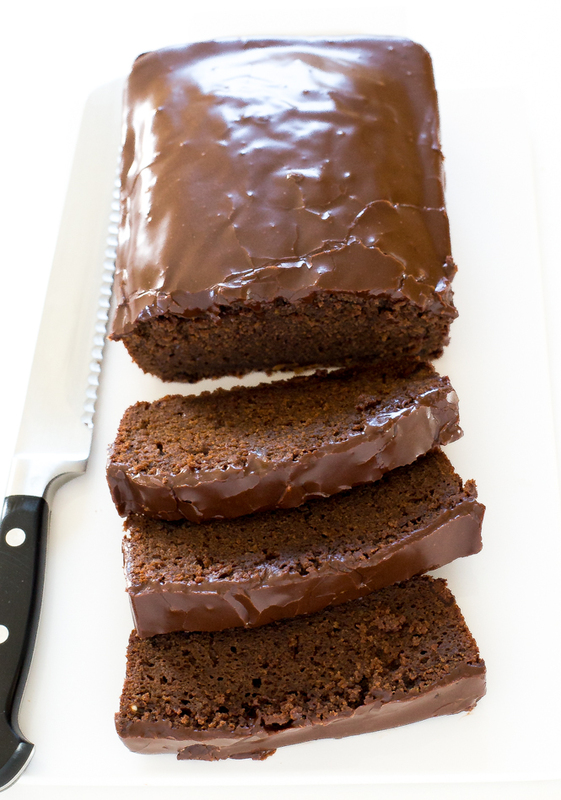 Best Chocolate loaf cake! I tried others and they did not compare. This was dense, rich and basically perfect! I did not do the ganache because I am not a fan of any type of frosting. I’m so glad you liked the chocolate loaf cake! Thank you for trying it, and for commenting!